The last two weeks I have felt physically crappy – some days better than other – but today is the worst. I am in need of some sniffling, sneezing, aching, coughing, stuffy–head, fever, so-you-can-rest medicine! It’s funny how, when feeling under the weather, we seek to surround ourselves with things that bring us comfort. For some that means comfort food, for others comfy pajamas, a favorite blanket, or a childhood pillow. Depending upon the ailment, there are times when hearing the voice of a spouse, loved-one, or best friend provide the needed level of comfort. Sometimes it’s a hot steaming cup of tea. The subject of today’s tea review and comfort of choice – Lavender Oolong. Dry Visual: Light and dark green leaves tightly rolled with stems present. Thanks to Naivetea for the great photo. Dry Aroma: Delicately floral – the smell of lavender is unmistakable with a hint of oolong. Flavor: Lavender Oolong is a lovely floral infused oolong. 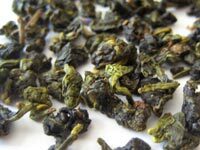 The oolong is mild with a distinct floral quality – I’m sure you are not surprised – that is present in the cup from the first sip to the last. Full-bodied, Lavender Oolong creates a heavy feel in the mouth. There is no astringency, therefore Lavender Oolong can be enjoyed without sweetener. There is, however, a mild dryness that becomes more pronounced throughout the cup and into the next infusion. Nevertheless, I prefer to drink Lavender Oolong without sweetener. Brewing Time: I steeped Lavender Oolong in 190 degree water for one minute during the first infusion and two minutes during the second infusion. If you have had the opportunity to enjoy a cup of Lavender Oolong tea, please stop by and share your experience. Until then… Happy Tea Drinking! **Tea was provided by Naivetea as a sample. 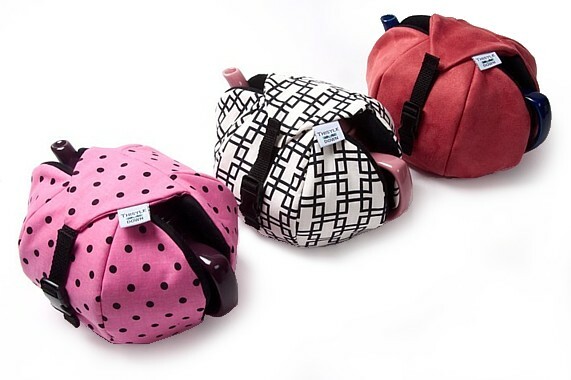 While not a stranger to the concept of tea cozies, I never actually owned one. That is until recently when I became the proud owner of two HOBs from Thistledown. Of course, I understood the concept of the tea cozy coined the HOB by Thistledown, but must admit I was curious about whether they actually worked. So when, my brother-in-law and his girlfriend Dee came over for dinner I was excited to try them out for the first time. Armed with two steaming pots of tea – lavender oolong and strawberry oolong, I prepared to settle the debate once and for all. The actual pot of strawberry oolong felt distinctly warmer than the lavender oolong. When poured into a teacup, the strawberry oolong liquor had remained warm and ready to drink while the lavender oolong required microwave subjection to reheat. It was official, my Thistledown Tea Cozy definitely kept the pot of tea warm for a longer period of time. The test duration was 15 minutes, but the HOB is capable of keeping a pot of tea warm much longer. (Check out the Heat Retention Experiment found on the Thistledown website.) I was pleasantly surprised! Now convinced of the HOBs utility, I’m compelled to share a bit more about this great product. The HOB is the latest in Thistledown’s line of tea warmers and is available in two sizes 20 ounce and 40 ounce. As described by Thistledown, the HOB is constructed with two layers of high-tech mylar batting. This batting insulates with both a layer of mylar reflecting heat back into the teapot and layers of polyester preventing heat conduction away from the teapot. Perhaps you are familiar with mylar batting, but I however, am not. So I took a trip to Fabric.com for help. According to Fabric.com, mylar batting is the material that makes pot holders, oven mitts, and casserole covers safe. The material is breathable and won’t break down with washing. It contains hollow fibers that resist conduction while the reflective mylar resists radiant energy. The energy, hot or cold, is reflected back to its source. This is key to how the HOB is able to keep your pot of tea warm for an extended period of time. Now you know the “why” and “how” the HOB works, let’s talk about its construction. The bottom of the HOB also has two layers of mylar batting, acting like a built-in trivet. As you can see from the picture, the HOB completely encases the body of your teapot. It is extremely easy to use: simply sit the teapot between the two “clam shells”, flip over the top and clip together with the buckle. Yes, there is a buckle – simple yet practical construction. But the greatest thing of all… the fabric is washable. For years I have always called products like the HOB a tea cozy. Thistledown has chosen to call this new product a HOB for two key reasons – 1) “tea cozy” was too feminine and 2) HOB defined means a shelf in the back of a fireplace used to keep things hot. The name HOB is a perfect fit! My HOB is pictured in the beginning of this review, while my other is two-tone red and brown. Be sure to keep your eyes open for many new colors and patterns available from Thistledown this spring. The photo on the right depicts a few. To purchase the HOB visit Thistledown’s website where they retail for $35 for the 20 ounce and $40 for the 40 ounce. If you have used this product, please share your experience. Until then… Happy Tea Drinking! **The HOB was provided by Thistledown as a sample. During the month of December, Tea Escapade ran the 2009 Tea Custom Contest. After reviewing many contest entries, it was exciting to select a winner. Contestants were required to share their tea custom in 350 words or less. 2. The custom occurs regularly i.e. every Christmas, once a month, on birthdays, etc. 3. The custom is special to those who participate. Tim Morra submitted the annual tea custom shared with his girlfriend. It was thrilling to read and select their tea custom as the winning entry for the 2009 Tea Custom Contest. As the contest winner, Tim received a Mighty Leaf Tea – Tea Top Brew Mug and an assortment of Mighty Leaf teas! Hopefully Tim both enjoys his prize and shares it with his girlfriend! “While my girlfriend and I have copious quantities of green tea every day with dinner, it has become a tradition over our 4 years together that we perform a special ceremony at Thanksgiving. Before the bird is finished and the wine is opened, we each dim the lights, light up a ginger-scented incense candle, and sit across from each other, silently for a minute of two. Two beautiful designed ceramic tea cups and a teapot brimming with Japanese Sencha sits between us and we each close our eyes and pray to ourselves. After this initial meditation, we open our eyes, pour a cup and hand it to each other. We decide who begins and it usually her. She smiles and speaks of something about which she is thankful. She then brings her cup to my lips and tips it slightly so that I may have a sip. It is then my turn and I speak of something about which I am thankful, and I tip my cup to her lips. I hope you enjoyed reading Tim’s Tea Custom. Make 2010 your year to create and practice a tea custom of your own. 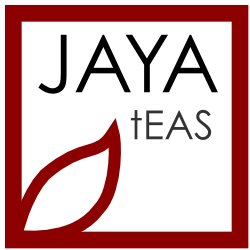 Maybe you will be the winner of the 2010 Tea Escapade – Tea Custom Contest. Until then… Happy Tea Drinking! Most people have a favorite program or two they watch every week. Two of my favorites include Grey’s Anatomy and Private Practice. Dressed in comfy clothes and armed with a cup of Green Tea Soothing Mint tea, it was with eager anticipation that I flicked on the television. Imagine my disappointment tonight at the realization that both shows were repeats. After watching repeats from mid-December to mid-January, it was great to finally, finally watch new episodes. Instead of laughing and/or crying with my favorite characters, I’m surfing the net and working on a new pet project. Dry Visual: The leaves are broken and resemble fannings. Other details are not easily discernable – the tea is contained in tea bags. Flavor: Green Tea Soothing Mint is flavorful, but mild. The green tea is not easily discernible – I was unable to detect any of the characteristic green tea flavors. For example, Green Tea Soothing mint does not contain any vegetal, sappy, or grassy qualities. However, the spearmint contained in the ingredients dominates this cup of tea. If you are a lover of mint tea, you will enjoy this brew. There is no astringency, therefore Green Tea Soothing Mint can be enjoyed without sweetener. After allowing the cup to cool, I am convinced that tea lovers can drink Green Tea Soothing Mint hot or cold. Liquor: A rich golden yellow hue. The cup is clear. Brewing Time: According to the directions, the recommended steeping time is 2 – 3 minutes. No water temperature was designated so I opted for 185 degrees for 3 minutes. If you have had the opportunity to enjoy a cup of Green Tea Soothing Mint, please stop by and share your experience. Until then… Happy Tea Drinking! **Tea was provided by Salada Tea as a sample. Now that you know that January is National Hot Tea Month let me share with you how Celestial Seasonings put a new spin on the event. As a leading tea retailer, Celestial Seasonings invites people to help preserve the earth’s tropical forests by participating in a new Facebook quiz, entitled PossibiliTEAS. Through the campaign, which kicked off National Hot Tea Month, Celestial Seasonings will donate one dollar on behalf of each participant, totaling up to $50,000, to Conservation International’s “Protect an Acre” program. The PossibiliTEAS Facebook application features thought-provoking questions, the answers of which align people with one of nine symbolic Asian characters found on boxes of Celestial Seasonings new green tea. Participants are provided with inspiration and guidance based on the given character and its associated meaning. For instance, the Dragon featured on Authentic Green Tea represents “awakening” while the Butterfly featured on Raspberry Gardens Green Tea symbolizes “joy.” The quiz is available at Celestial Seasonings Facebook fan page: www.facebook.com/CelestialSeasonings where the first 15,000 participants will receive a sample of Celestial Seasonings Authentic Green Tea. Celestial Seasonings donation of up to $50,000 will support Conservation International’s “Protect an Acre” program, which helps slow climate change and preserves tropical forests around the world. Just $15 protects one acre of tropical forest, so when participants enlist the support of 14 of their Facebook friends, together they will protect one acre of tropical forest. Building upon a strong foundation of science, partnership and field demonstration, Conservation International empowers societies to responsibly and sustainably care for nature for the well-being of humanity. Even though National Hot Tea Month ends January 31st, the Conservation International’s “Protect an Acre” program doesn’t. For more information about Celestial Seasonings commitment to the environment, visit: www.celestialseasonings.com.